Planting Life for a sustainable future in Haiti. Planting Life Haiti is a Christ-centered foundation whose goals are to collaborate with Haitian farmers to improve farming practices in Haiti. We provide resources, training, education, and support for Haitian farming communities, working towards a sustainable future in Haiti. 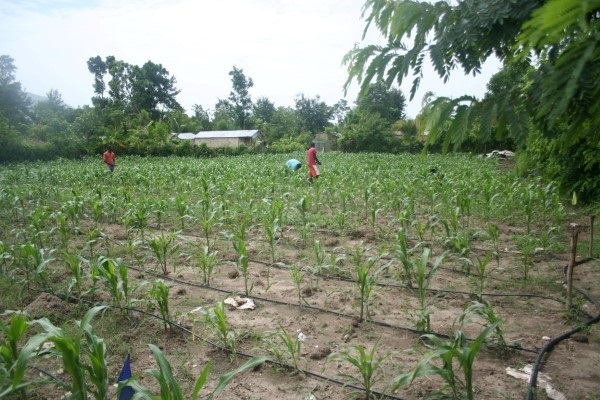 We focus on using drip irrigation systems, which are water and labour efficient. In our acts and words, we strive to honour Jesus and to make him known to others. Our desire is to "plant life", both spiritual and agricultural. Through prayer, teaching, working, and serving, the Planting Life Haiti Foundation desires to see Haitian farming communities thrive and flourish with hope for new life.